The Dagupan Bangus festival is recognized as as one of the three best festivals celebrated in the Philippines. The prestigious recognition is given by the Association of Tourism Officers of the Philippines and also by the Department of Tourism. The other two festivals dubbed as the best tourism practices (festival category) are the Dianagsa Festival of Cadiz City, Negros Occidental and the Hugyaw Kansilay festival of Silay City also in Negros Occidental. Dagupan is a city located on the Lingayen gulf in the province of Pangasinan in Luzon and is one of the top producers of milkfish or bangus in the province. Bangus is considered the tastiest milkfish in the world. The highlight of the Dagupan Bangus Festival or Philis the grilling of thousands of bangus and followed by a street party. About 10,000 bangus in 1000 grills were grilled along Fernandez Avenue which is a major street of Dagupan during one world record-breaking celebration. In May 3 of 2003, the people of Dagupan city formed the longest bangus barbecue which measured slightly over 1 kilometer and broke the long-standing world record by Peru in November of 1999 at 613 meters. A laser guided equipment was used to accurately measure the longest bangus barbecue. The victory was shortlived because but in 2005, it reclaimed the same world record for its 2.006 kilometers of barbecue grilling of more than 8000 kilograms of milkfish. 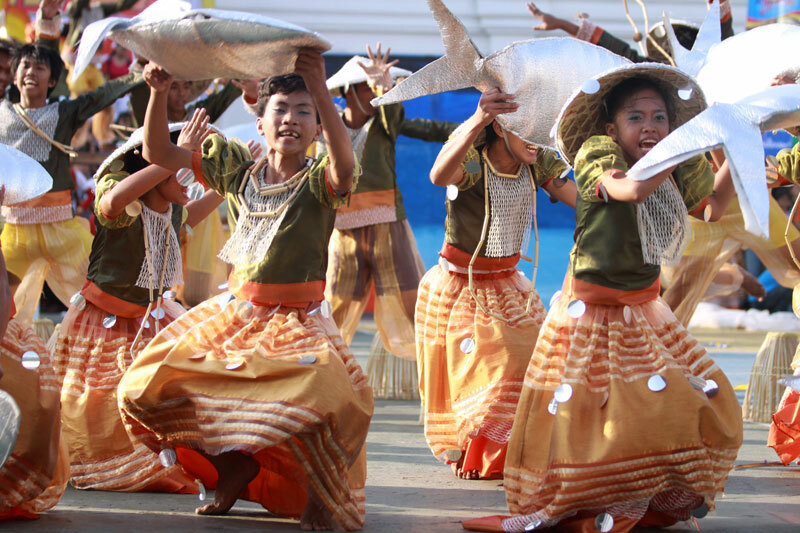 Other activities during the Dagupan Bangus Festival are the parade of street dancers wearing striking costumes and depicting the bountiful harvest of bangus. A group of cooks also demonstrate the different ways, about 101 ways, of cooking bangus before indulging in the juicy and delightful taste of the bangus dishes. You can also withness the local folks of Dagupan debone and eat bangus in a speedy manner. The heaviest, longest and most beautiful bangus caught are also displayed during the occasion. The Dagupan Bangus Festival is considered one of the most exciting festivals in the Philippines and celebrated for a little over two weeks in the month of April and towards the first few days of May with the grilling of bangus in the streets highlighting the occasion. The festival started in the year 2002 and was conceptualized by then Mayor Benjamin Saplan Lim to promote the bangus industry so as to increase sales and production of the local milkfish. At present times, the festival has been considered a globally acclaimed event and best advertisement for the world’s tastiest milkfish.